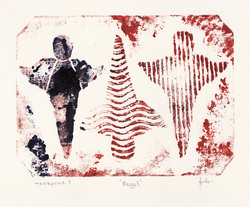 Limited Edition: 1st of only 5 Impressions. Limited Edition: 4th of only 5 Impressions. Limited Edition: 5th of only 5 Impressions. 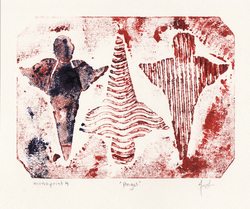 These original hand-pulled relief prints come in 5 unique editions, created with a collagraph plate and printed by hand using a printmaking printing press . 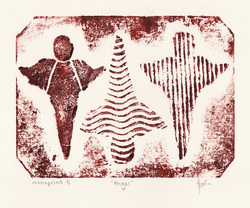 Only 2 are left of these 5 monoprints. 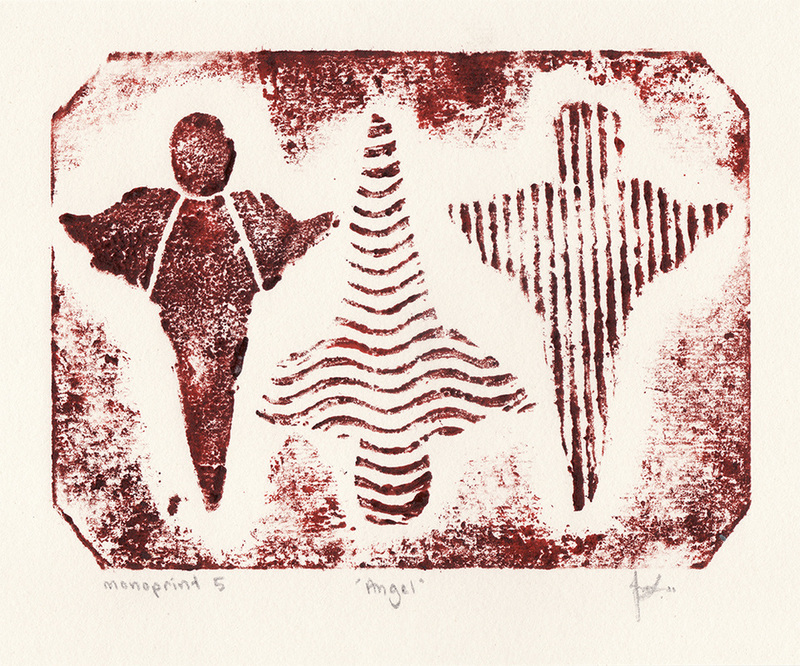 Medium / Method : Each of these relief prints were printed individually by hand with a collograph plate and printmaking printing press, with Lino Ink on Cartridge Paper. 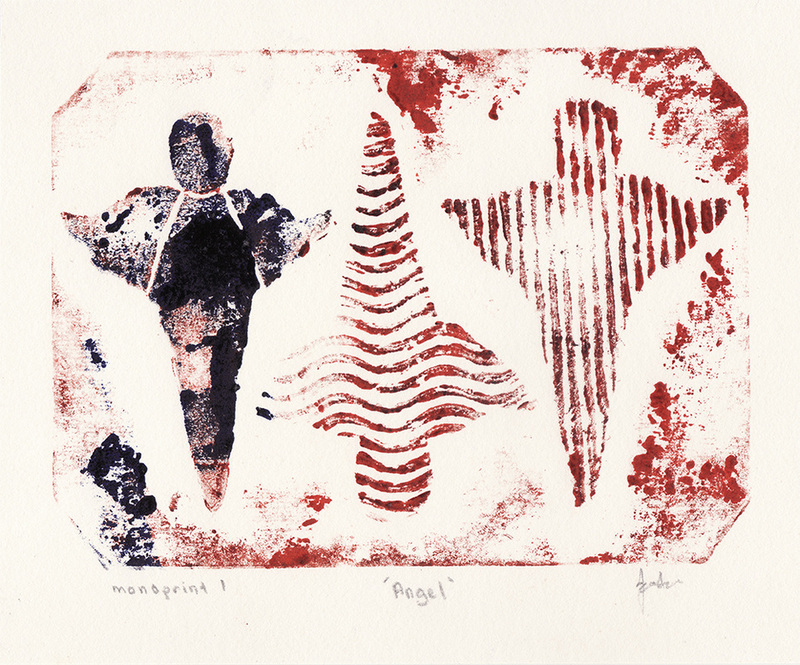 More info on exactly what to expect when purchasing an 'Angel' limited edition impression . . . 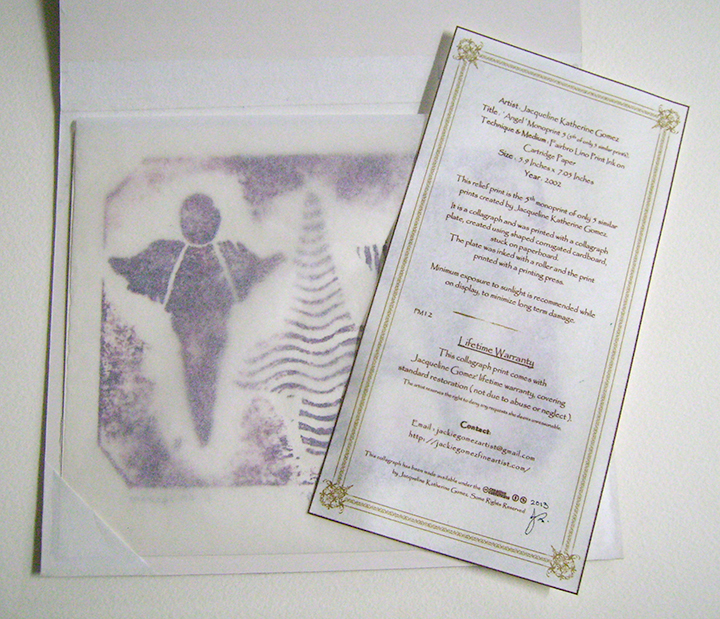 Example of 'Certificate of Authenticity' and protective casing that each print is shipped in. To ensure your artpiece reaches you in optimum condition, I will be shipping it to you Flat. It comes in a Daler Rowney acid free (alkaline-sized and pH neutral) mountingboard protective casing, Acid Free Tissue Paper, and sturdy outer packaging for the best protection during shipping.. I always try to use recycled materials whenever possible.